This era of KISS saw the band go through many line up changes. Drummer Peter Criss left the band in 1980, replaced by Eric Carr. Lead Guitarists came and went through this era as Ace Frehley departed in 1982. The bands core of Paul Stanley and Gene Simmons continued to produce well written pop rock through the 80s with varying commercial success. They stayed true to catchy rock riffs and anthemic stadium rockers. Kiss spent the 80s musically chasing trends rather than innovating them. On taking advice from producer Bob Ezrin Kiss attemped a concept album. Trying to achieve the critical acclaim that had eluded them further alienated the fan base. They produce a grandiose album of orchestration unheard on KISS albums to this point. Hidden amonsgt this was still some great hard rock tracks. Bass players learn Only You. After the backlash of The Elder, KISS returned to their hard rock ways. 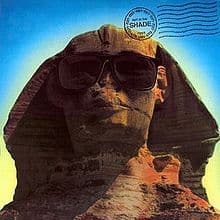 This is a 80s rock classic. Ace Frehley was seen on the cover but does not play a note on the album. Instead a cast of lead guitarists such as jazz rock great Robben Ford, Steve Ferris and future band member Vinnie Vincent turned in classic solos. Eric Carr was given a thunderous drum sound. Guitarists learn I Still Love You. Bass players learn Saint and Sinner. Drummers learn Creatures of the Night. With founding members Peter Criss and Ace Frehley gone the mystique and magic of make up era was lost. With this album the make up came off and we saw KISS unmasked for the first time. Vinnie Vincent became lead guitarist of the group and wrote an album full of metal classics. Continuing on the heavier vein of Creatures it is another of the best from this age of KISS. Bass players learn All Hells Breakin Loose. Drummers learn Young and Wasted. KISS continued to follow the 80s rock sound with new guitarist Mark St. John on board. His style was in line with the fast shredding lead guitar style of this era. The songs were more pop based than the last two albums as KISS began to chase the hair metal sound. Guitarists learn I’ve Had Enough. Bass players learn Lonely is the Hunter. Drummers learn Under the Gun. The glammed out fluro image of the band hurt this album which is a lost classic in the KISS catalogue. Containing some of Paul Stanley’s best songs of the non makeup era and featuring another new lead guitarist Bruce Kulick. Bruce would remain in the band for the remaining non makeup years. Guitarists learn Tears are Falling. Bass players learn Radar for Love. Drummers learn King of the Mountain. KISS went all out to catch the Bon Jovi wave of success rock music was having. Introducing keyboards to layered the production of the album it is a pure pop effort not unlike Unmasked. A guilty pleasure of mine, Paul Stanley has some amazing vocals on these songs. Guitarists learn Crazy Crazy Nights. Bass players learn Turn On The Night. Drummers learn I’ll Fight Hell To Hold You. KISS again ended the decade falling out of favour with the masses as younger bands clearly influenced by 70s KISS rode high in the charts. This album contains a bunch of songs that were left as is from the demo sessions. The longest album in the discography. Guitarists learn Rise to It. 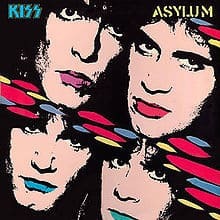 KISS returned to producer Bob Ezrin to pilot an album that is considered by some the highlight of the non makeup years. KISS went back again to the tough hard rock sound they do best. Drummer Eric Singer joined the band after the death of Eric Carr. The star of the album is lead guitarist Bruce Kulick who turns in some nasty wah driven solos. Guitarists learn God Gave Rock’n’Roll to You. Even though KISS may have suffered a popularity slump and an identity crisis through the 1980s, they still produced some great pop rock music. These songs are just plain fun to play as a band. Learn some of these suggestions today.